Dead Scientist of the Week: Benjamin Sillman Jr.
Benjamin Sillman Jr. was born on December 4, 1816 in New Haven Connecticut. His father, Benjamin Sillman Sr. was a professor of chemistry at Yale College in New Haven and his grandfather was General Gold Selleck Sillman, who served in the American Revolution, winning distinguished service defending the southeast corner of Connecticut. Visiting scientists often came to the Stillman home and Benjamin Jr. grew up in a home with the atmosphere of scientific culture. As a child he collected minerals and became interested in chemical experiments. He attended the schools of New Haven and in 1833 he entered Yale College, graduating in 1937. After graduating he worked for his father as an assistant and obtained his masters degree in 1840, after which he was made a lecturer and began teaching classes in addition to research. In 1838 with his father he became editor of the American Journal of Science and Arts a position he held until his passing. In 1846 he was made professor of chemistry and kindred sciences at Yale. With J.P. Norton he organized the School of Applied Chemistry in 1846, setting up a laboratory at their own expense in a house on the college grounds that had formally been the home of college presidents. The school was enlarged a year later and became the Yale Scientific School and later the Sheffield Scientific School. He remained teaching at Yale until his death. Sillman's research involved applied chemistry and in 1855 he was given a sample of crude Pennsylvania rock oil by speculators to find out if it could be used for illumination. At the time coal oil and a diminishing supply of whale oil were used in lamps for light. Sillman fractionally distilled (a process invented by his father) the rock oil sample separating it into various samples which he tested for illumination power. Fractional distillation is used to separate constituents of a mixture that have evaporation points that are close together and a special column filled with glass beads or metal pieces that allow vapor to condensate is used. As the mixture is heated vapor moves up the column and the less volatile constituents of the mixture condensate on the glass or metal, allowing only the most volatile constituents to move to the top of the column. A second condensation column is then used to collect the components. Fractional distillation on an industrial scale is done today on crude oil to make gasoline and other fuels. Sillman's experiment produced a product that burned brighter than other fuels on the market at the same price. He described the crude oil to the investors as "a raw material from which...they may manufacture a valuable product." In his report he also said that the distillation products of rock oil might also be useful for lubrication. His report led to an oil boom in Pennsylvania. With his report Sillman's advice was sought out as a mining consultant, a field in which he was not as successful. He served as secretary to the American Association of Geologists and Naturalists. 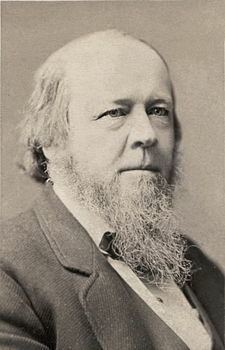 The United States Congress named him as an original member to the National Academy of Sciences and he was in charge of the mineralogical and geological departments of the New York World's Fair in 1853. He died on January 14, 1885.